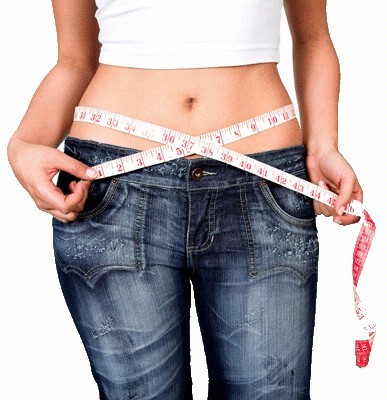 Today, many people desire to lead a healthy lifestyle by losing weight. Maintaining a manageable weight is known to help prevent various lifestyle diseases such as diabetes, high blood pressure, and heart-related complications. Apart from that, losing weight uplifts an individual's self-esteem, improves moods, and enables them to have better sleep. The ideal weight loss diet should consist of all the necessary nutrients vital for body nourishment, help one stay satisfied for longer, and enhance metabolism. The following steps can guide one on how to achieve their weight loss goals in 30 days. Consumption of foods that contain refined or artificial sugars stimulates the production of insulin in the body. Insulin is also known as the fat storage hormone. Eliminating these sugars lowers insulin production hence enabling fat to leave the fat stores. This way the body starts burning the fats. In addition lowering insulin levels enable the kidneys to flush excess water and sodium out of the body hence reducing water weight and bloating. Exercising is more often than not associated with going to the gym. However, many people have limited time or can't afford the gym. There are many exercises that one can do at home such as stair climbing, rope skipping, jogging, and walking briskly. Doing house chores can also contribute a great deal in weight loss. Incorporating exercises in a weight loss diet plan helps accelerate the burning of fats and calories. A balanced meal should contain essential nutrients to the body such as fats, vegetables, and proteins. A weight loss diet should be low on carbs and high on proteins. A high protein diet is filling and reduces appetite and cravings. Proteins can be sourced from fish, meat, and eggs. Low carb sources include broccoli, spinach, kale, and cucumber. Healthy fats can be sourced from coconut oil, olive oil, and butter. Any weight loss program should contain a considerable amount of fiber which can be sourced from nuts, lentils, and flax seeds. Drinking enough water helps keep the body sufficiently hydrated. Water helps flush out toxins out of the body and aids metabolism. Water is also calorie-free and can be a contributing factor to fast weight loss. This healthy drink though is not a favorite of many people. It is said to have a flat taste. Thankfully, there are various healthy ways of flavoring water to give it a pleasant taste. Individuals can infuse it with their favorite fruits or even vegetables. Additionally, one can purchase flavored water. It is important to check the ingredients to ensure there is no presence of added sugars or even sweeteners. After consistently following this weight loss program, one can evaluate their diet outcome after one month. It is paramount to understand that different people respond differently to weight loss diet programs. While some may lose weight fast, others may lose a few calories.